In January 1943. 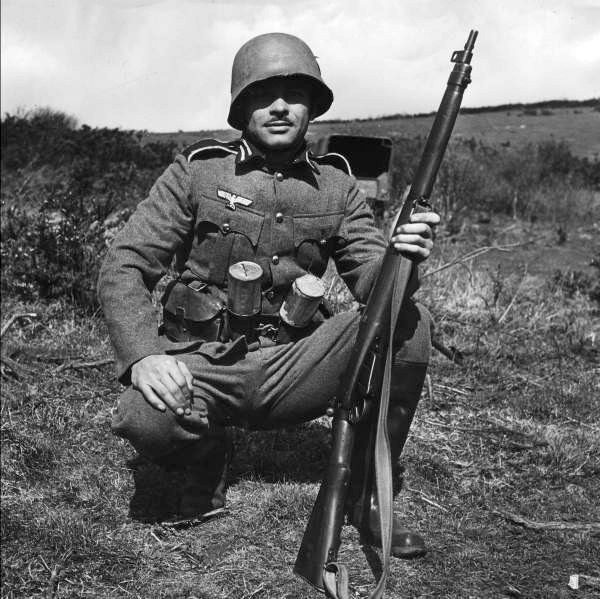 First Canadian Army ordered 100 sets of imitation Germans tunics, side caps, belts, leather equipment and helmets – for its Intelligence Section – from the British War Office. The Directorate of Clothing and Equipment of the British Ministry of Supply sent back samples and a price list. These were deemed acceptable by First Canadian Army and in early February the Ministry of Supply confirmed that all the requested items were due to arrive shortly, except the helmets which would take another month to produce. 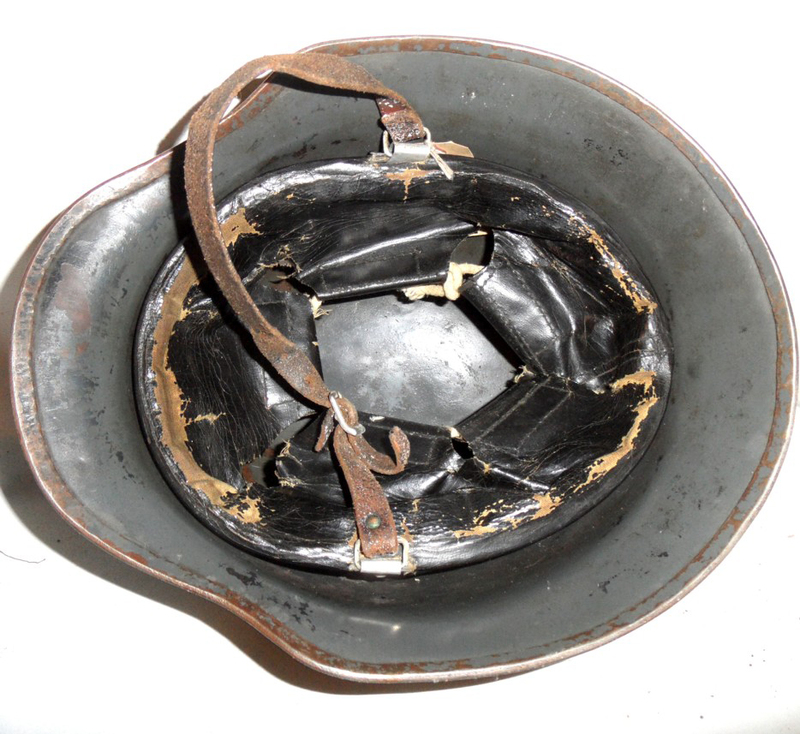 The helmets seem to have been made by Grimson & Slater Ltd of Long Eaton Nottinghamshire. Two members of the Ist Canadian Division German Demonstration team. 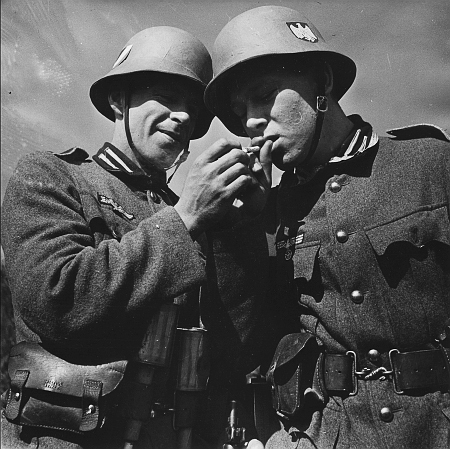 These helmets (priced at 15/ each) were an imitation of the German M35 Stahlhelm . 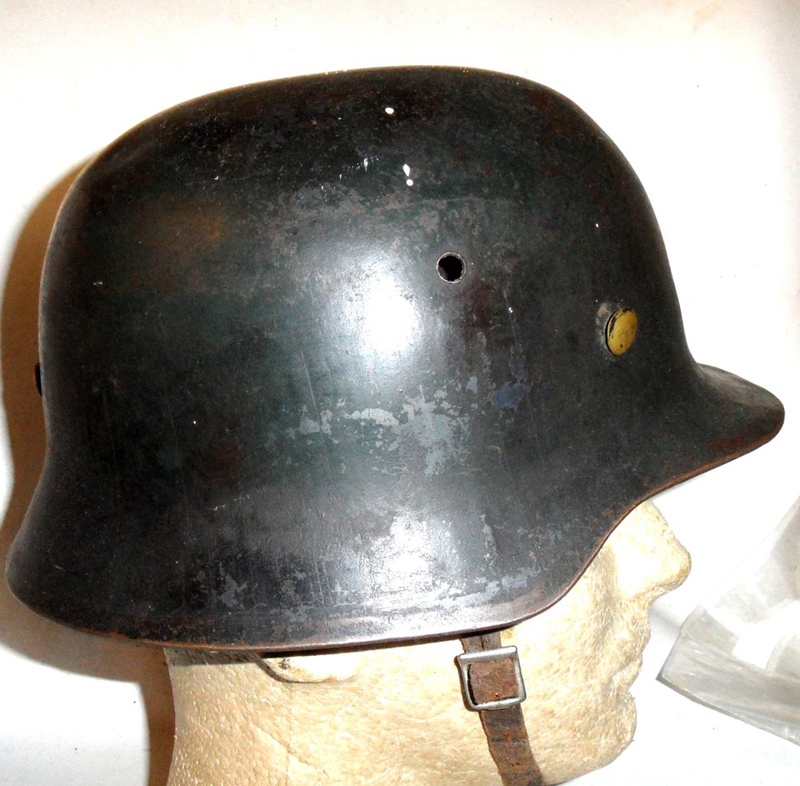 Made of magnetic steel and painted dark green, they were externally similar to German helmet, except they lack bushed vents and had liners based on the British Mk.II. The rivets and chin-straps closely resembled the German originals. The leather equipment provided by the Ministry of Supply, was actually old Pattern 1914 leather equipment, presumably the Ministry of Supply deemed it an acceptable substitute for what the Germans actually used. Note the use of British weapons. 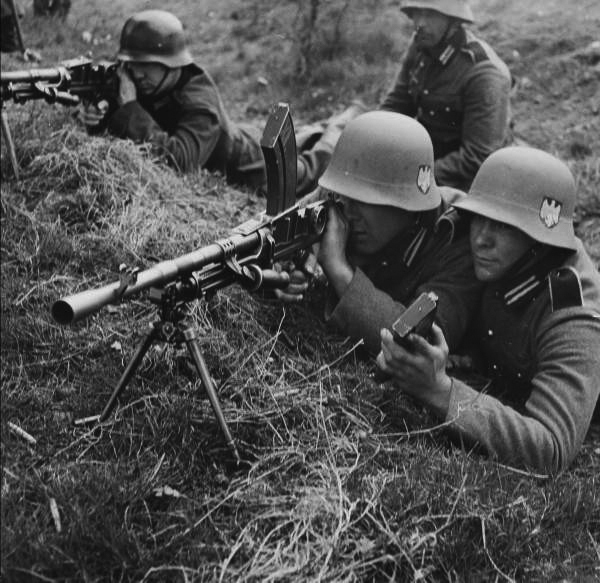 Here they are shown using a BREN gun. Some at least of these helmets and uniforms were issued to the 1st Canadian Division German Demonstration Team. In its War Diary the 7th Reconnaissance Regiment t recorded a visit by the Team, on 21 April, 1943. This group of proto‑reenactors replicated a German infantry platoon, giving demonstrations of German drill, commands, and infantry tactics. They also acted as subjects for training 7th Recce personnel in controlling POWs. The War Diarist was impressed by their “rigid discipline” and the speed with which they brought their weapons into action. 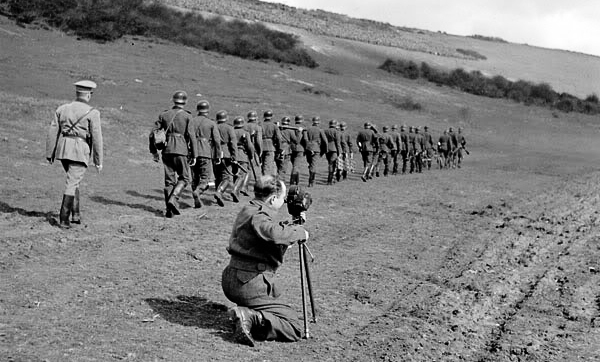 Pictures of the team taken in late March 1943 show they were using standard British weapons and some wear cloth covers with German insignia over their helmets. The demonstration team used Patt ’14 equipment.